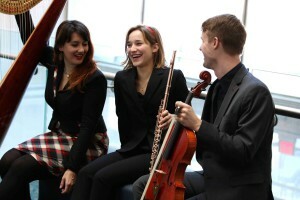 Comprised of flutist Caroline Sonett, violist Adam Paul Cordle and harpist Rosanna Moore, Trio Alexander met as graduate students at the Eastman School of Music. Trio Alexander has been featured by the new music collective OSSIA and the Cornell Contemporary Chamber Players and maintains an active role in commissioning, premiering and presenting new works. 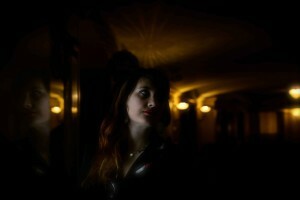 Their repertoire includes the works of Claude Debussy, Kaija Saariaho, Jacques Ibert, Alan Rawsthorne, Leo Smit, and D.J. Sparr, among others. In Spring 2016, they presented a set of three world premieres by Eastman composers. Trio Alexander seeks to present works for the flute-viola-harp trio in a new light by not only performing standard repertoire, but commissioning new works from a range of composers and transcribing their own arrangements and delving into improvisation and non-notated media, such as jazz and folk music. 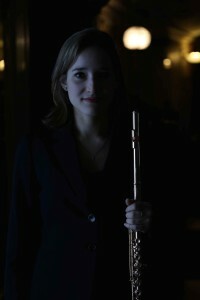 Caroline Sonett has performed on the stages of several of the world’s great concert halls, including Carnegie Hall, Avery Fisher Hall, and the Kennedy Center, and has been featured on the McGraw Hill Young Artist’s Showcase as the first prize winner of the Friday Woodmere Music Club’s Young Artist Competition. Adam Paul Cordle is a distinguished soloist and chamber musician, having performed in venues such as Carnegie Hall’s Weill and Zankel Halls. 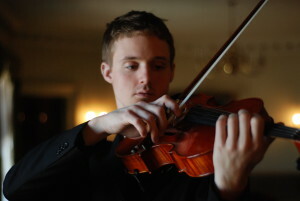 He has been featured in recitals in the United States, Canada and Israel and has performed the viola concerti of Telemann, Stamitz and Bartók. He is a founding member of the flute-viola-harp ensemble Trio Alexander and collaborates in duo partnerships with violinist Anyango Yarbo-Davenport and pianist Edith Widayani. Originally hailing from the UK, Rosanna Moore is a candidate for the Doctor of Musical Arts degree at the Eastman School of Music, where she earned the Master of Music in Performance in 2014 under the mentorship of Kathleen Bride. She is supported by the Eileen Malone Scholarship and holds a teaching assistantship.